The Homestyles Group is committed to carefully designing, planning and executing residential renovation projects. We endeavor to meet high standards of quality, innovation and professionalism. The team at House Upgrades, Inc has nearly twenty years of experience in both commercial and residential work – including exterior and interior painting, flooring installation, plumbing, and more. 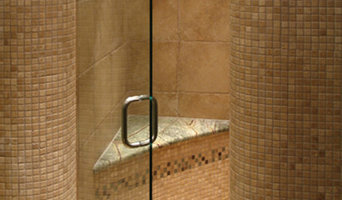 We are the leaders in the frameless glass industry. Our company was founded in 1986 and we have specialized in the fabrication and installation of frameless glass products such as frameless shower doors, frameless glass railings and fences, mirrors, and glass products. We have grown and expanded due to our innovation and commitment to serve our customers to the outmost of our abilities. We stand as the ONLY company in Central Florida that manufactures and installs their own glass; therefore, you buy directly with the manufacturer. At Floor to Ceiling, we serve Central Florida with all you’ll ever need to remodel or build your dream kitchen and bathrooms. Here at Kitchen Solvers of Orlando, we believe that when you are designing and planning your new dream kitchen, you should not only be excited but also have fun with the whole experience. We have over 10 years experience in drafting and designing and we are looking forward to sharing that experience with the greater Orlando area. We are also licensed in real estate and have been catering to people’s dreams since 2005. We are here to assist you with those dreams of a new kitchen with our knowledge and expertise in cabinet refacing or new custom cabinets. We also offer countertops, backsplashes and storage solution options to compliment your kitchen remodeling designs. If you are looking to remodel your dream kitchen, bath or laundry room, give us a call at (407) 955-5612 or click the "Contact Me" button to send us a message. We look forward to working with you! Jensen Interiors specializes in residential and commercial construction. We serve the Orlando area on projects ranging from new construction to both small and large remodeling and renovation jobs. In 1984, we started building our one-of-a-kind, handcrafted cabinetry one cabinet at a time. Over the past three decades, we have perfected our craft and our ability to bring an extraordinary level of quality to every room of your home. Our family is passionate about designing cabinets personalized to each individual client. Our attention to detail and care for the customer produces unique homes that are a reflection of your lifestyle and taste. The ability to manufacture our own cabinets on site results in not only innovation of design, but efficient use of space within your kitchen or bathroom. Each member of the team at Cabinet Designs has the expertise to plan out a layout that will showcase the beauty of your home. We have the skills to provide you with services for any remodel or new construction project that you are embarking on. Schedule a meeting with one of our designers and let us draw up the perfect plan for you! We have catered to the Central Florida area since 1976 with economical prices and quality service. Unlike most service companies we focus on our customers and their satisfaction. You are number one! We have experience with multiple project types and face them all with the same excellence. Each project we begin has specific requirements, a budget and a level of quality with the work involved. Orlando's Kitchen & Bath Remodeling Company | 3x Best of Houzz! Prestige Kitchen & Bath is a certified business, proficient in home and commercial conversions. We offer our own experienced and efficient design and installation teams to meet your every need. We specialize in turning your personal vision of a perfect space into concrete reality. Give us a call today to get started on creating your dream home! From backsplashes to custom remodels, we can do it all. If you cannot find what you are dreaming of, we can design and construct with your ideas, to your personal taste. TEK Contracting is a licensed and insured home improvement company serving the Orlando, Windermere, Dr Phillips, Lake Nona and surrounding areas for over 15 years. Orlando's Leading Cabinetry Solutions Best of Houzz 2016, 2017 & 2018! We are a locally owned and family operated company specializing in residential remodeling and repairs. Serving the Orlando, FL area, we offer quality work with reasonable rates. Specializing in the fine art of cabinetry for any living space, 100% in house design from start to finish. Constructing and designing one of kind pieces is our goal and handling the wood in it's purest state is key. Making our impression the only impression. Care for the environment is always first, making us one of the only cabinetry designers in Florida using all water base paints and stains with no VOC's. Leaving less of a footprint for you and the planet. "If you can dream it we can build it", has been our mantra from the first day we decided to share our craft; the art of cabinetry, for all to enjoy. In addition we have an assortment of custom accent finishes such as glazes, distressing, and color rub throughs for the exact look and feel that you desire for your home. Anything Goes Celebration is a central Florida-based remodeling and construction company. Celebration is our main service area because we promise you are our top priority. 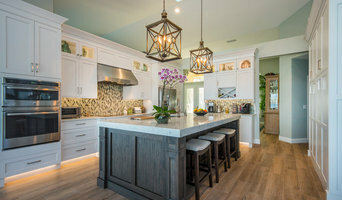 Since 2004 Kaufmann CO has been serving the Central Florida community delivering custom kitchen remodeling, custom kitchen cabinets, bathroom remodeling and more at very affordable prices and a very reliable track record. With over 10 years of kitchen and bath remodeling experience our in-house team has developed the strategy to deliver your project with high craftsmanship quality, on time and on budget. Skilled craftsmen, our in-house design team works to deliver a high-quality project that reflects your personality and enhances your quality of life. We handle every phase of your remodeling project internally – from no obligation professional consultation all the way to delivery and installation. Kitchens and bathrooms are two of the hardest-working spaces in any home. When it’s time to update them, ensure that they stay at peak functionality by hiring a Maitland kitchen and bathroom remodeler. With an eye for aesthetics, a practical approach to layout and design, and the skills of a contractor, a bath or kitchen remodeler in Maitland, FL can help you execute a remodel suited your personal style and needs. What does a Maitland kitchen and bath remodeling expert do? Licensed Florida kitchen and bath remodelers are contractors who specialize in altering the structure of an existing space, rather than building one from the ground up. Because he or she must deal with a previous builder’s work, the job can get more complicated than new construction. You might wonder why they often specialize in both kitchens and bathrooms, but if you think about those two spaces, they actually have a lot in common. Kitchens and bathrooms include an abundance of fixtures that require careful planning and installation, including sinks, faucets, tubs and toilets that all need water hookups and drainage. They also use similar materials, such as tile and stone for countertops and flooring, due to the nature of their use. So it makes sense that Maitland kitchen remodelers and bathroom remodelers be one in the same. A bathroom or kitchen remodeler translates architectural plans from page to reality; some are also trained to provide design services so that you don’t have to hire a separate pro. Like a general contractor, a kitchen and bathroom remodeler in Maitland, FL is responsible for hiring and supervising subcontractors and providing materials when necessary. They also should have a thorough knowledge of Florida building codes and construction-related legal issues, as well as current design and product trends. Here are some related professionals and vendors to complement the work of kitchen & bath remodelers: Woodworkers & Carpenters, Kitchen & Bath Designers, Interior Designers & Decorators, Architects & Building Designers, General Contractors. Find a Maitland kitchen and bathroom renovator on Houzz. Narrow your search in the Professionals section of the website to kitchen and bathroom remodelers in Maitland, FL. You may also look through photos of Maitland, FL spaces to find kitchens or bathrooms you like, then contact the bathroom or kitchen remodeler who worked on it.